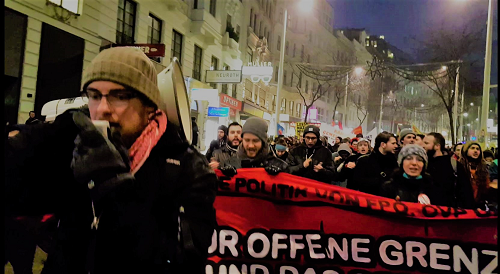 Austria: More than 50,000 People March against the Right-Wing Government! 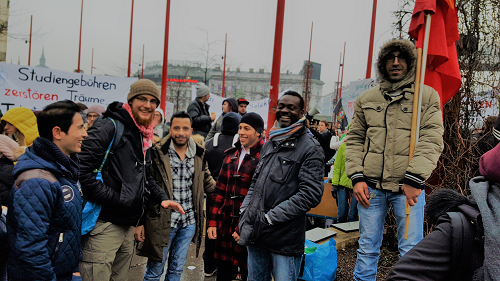 A historic demonstration took place on 13 January in Vienna: despite cold and rainy weather more than 50,000 people marched against the coalition government of the conservative party ÖVP and the right-wing populist FPÖ and its racist and neo-liberal policy. 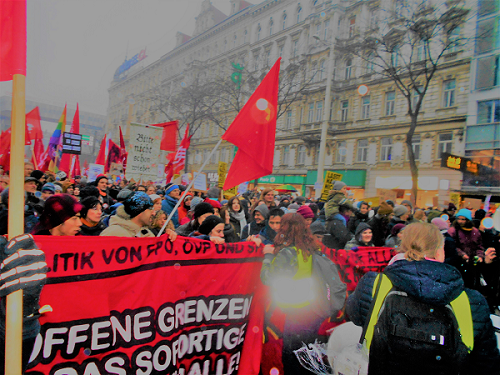 Left-wing organizations, trade unions, anti-racist initiatives, student groups had successfully mobilized for this huge demonstration. A recent announcement by the new interior minister Herbert Kickl to “concentrate” refugees into camps, provoking association with the notorious concentration camps of the Nazis, has demonstrated once more the utterly reactionary character of the new government. 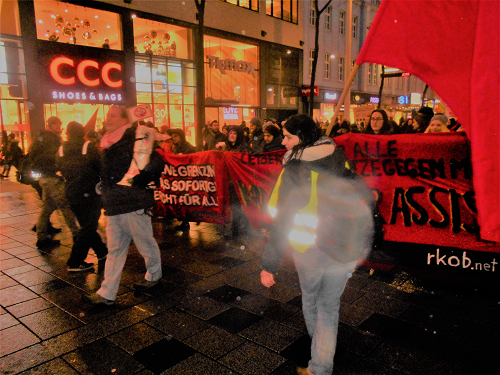 The Revolutionary Communist Organization LIBERATION (Austrian Section of the RCIT) participated in the demonstration with a big, multi-national and militant contingent (see pictures below). We also successfully sold our new paper. 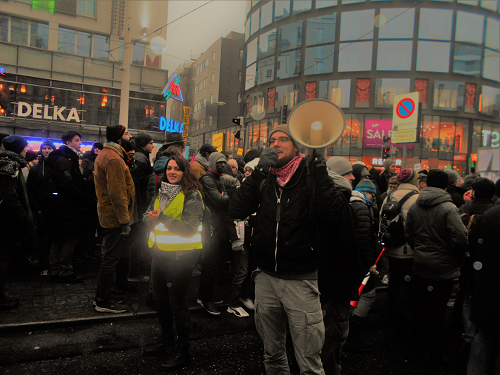 We emphasized the necessity to organize a consistent struggle against capitalist exploitation and racism. We called for the mass organizations of the workers movement to launch an indefinite general strike to bring down the government. 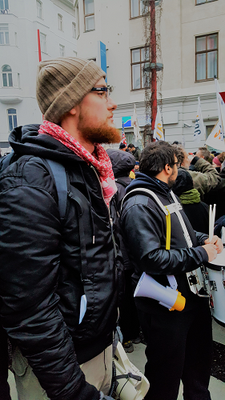 Unfortunately some of the reformist and left-liberal organizers utilized the demonstration to appeal to the imperialist European Union to boycott the Austrian government. We reject such idiotic appeals. Both Austria as well as the European Union are reactionary, racist and imperialist institutions. 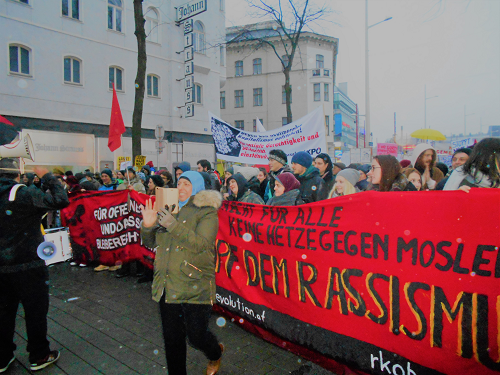 The struggle against capitalist exploitation and racist oppression of migrants can not be conducted in alliance with such capitalist and racist institutions but only in consistent opposition against both! 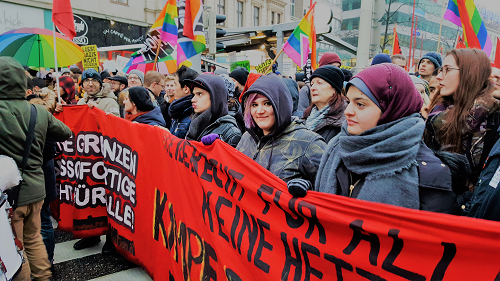 The Austrian section of the RCIT views this demonstration as a successful starting point to build a strong mass movement against the right-wing government and to organize the most advanced and militant activists in a revolutionary organization!